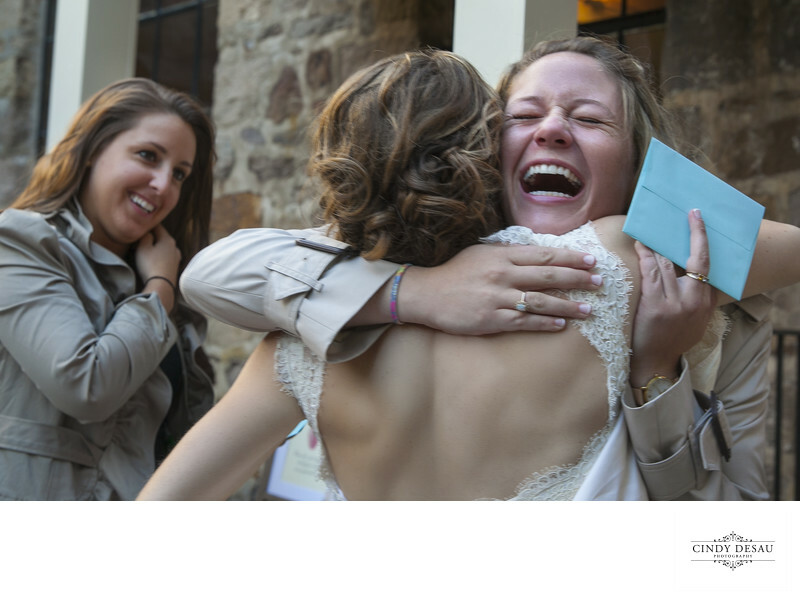 This bride gets an enthusiastic greeting just after being married. Many times I’m asked to photograph groups of extended family or friends after the wedding ceremony. They are usually more set up and planned. This photo shows the spontaneity I’m always trying to capture.